With his altimeter functions the CM 4.4A is a real summiteer. The multi function computer for athletic orientated cyclists for who every meter counts, informs with up to 44 functions ex-actly about highs and lows of every tour. Due to the optional cadence function one can easily control the effectiveness of the training. Valuable clues in regards to the accurate kick can be given by the optional cadence function. 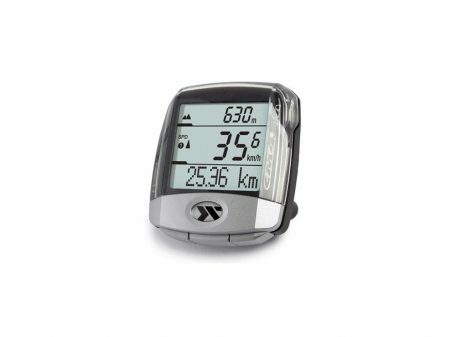 Digital home trainer with coded wireless communication between resistance unit and handlebar display. The best value aerodynamic wheelset, lighter and stiffer than ever. 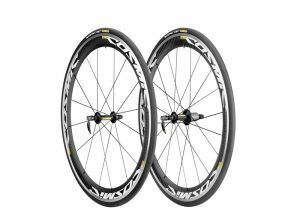 Cosmic Carbone SLS features time-proven Mavic carbon capabilities, blending aerodynamics and high stiffness, with one of the lightest aero clincher rims. 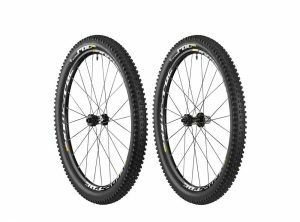 Feather light Yksion Pro tires and new hubs reinforce its responsiveness. Affordable for any riders, road racers and triathletes! QRM+ (Qualité Roulements Mavic® Plus) – Mavic’s most demanding level. Those cartridge bearings are of course double sealled with C3 internal clearance, and toped with a micro-adjustability system. Tight tolerances for high rolling efficiency. Quick adjustment according to performance goals: precision “free” adjustment for maximum fluidity, or perfect high precision setting for all-weather rides. ISM (Inter Spoke Milling) – Lighter rim and equal rigidity is the magic equation to reduce inertia and to free extra power for climbing. A Mavic patented exclusive concept (US 6 402 256). Lighter: easier and faster climbing. Less inertia: instant and effortless acceleration. GripLINK A good tire, must fully liberate the wheel’s potential and even enhance its performance. Therefore, the expected benefits of the front tyre are different from the rear one. GripLink are optimized for front use. The safest grip with great steering control: Dual compound “S+” with added Silica. Hold the road in any situation: light and supple high density casing. Reduced risk of flats: strong Nylon anti-puncture breaker. 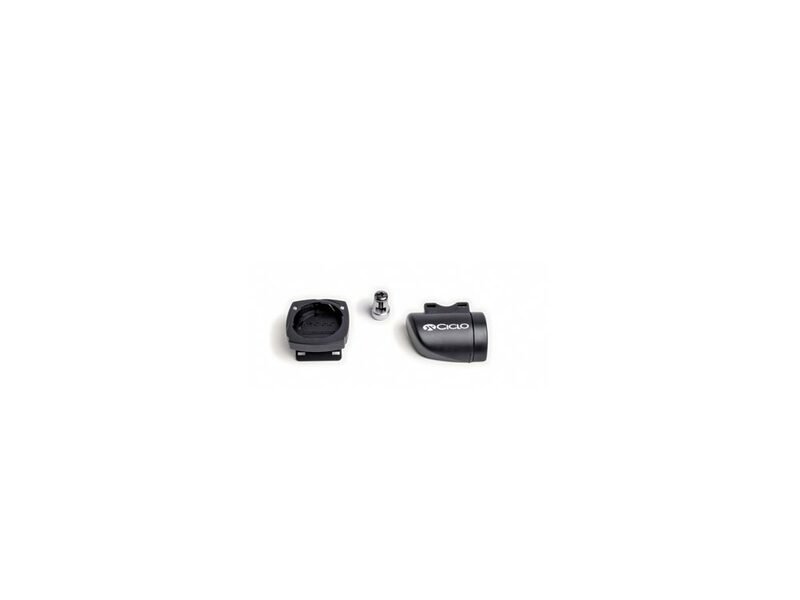 PowerLINK PowerLink are optimized for rear use. Superior energy transfer, reduced rolling resistance and safe grip: Dual compound. Improved drive: light and supple high density casing. Higher durability and reduced risk of flats: Dual compound and strong Nylon anti-puncture breaker. Clean with dry cloth or soap and water. Do not use pressurized water. Do not transport on a bike rack. Only transport the wheels in the wheel bags supplied. Ksyrium Pro Disc: the legendary Ksyrium SL, smartly adapted to Road Disc, for the most epic rides. Disc brakes bring more control and predictability regardless of the weather conditions however the wheel still needs to be both bombproof and light. 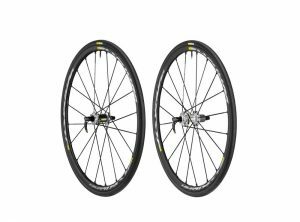 The Ksyrium Pro Disc delivers this thanks to Mavic’s 15-year experience in disc brake optimized wheelsets. The new Yksion Pro GripLink makes the difference in cornering. Optimized for front wheel use, thanks to a sticky compound, water evacuation tread pattern and super strong Kevlar flat protection, it will keep you safe on any road and in any weather conditions. The new Yksion Pro PowerLink is designed to speed the bike up. Optimized for rear wheel use, its compound, supple nylon casing reinforcement and tread pattern are specifically designed to increase rolling efficiency, making it one of the fastest tire. ISM 4D (Inter Spoke Milling 4 Dimensions) – An exclusive Mavic patented concept, ISM 4D not only significantly reduces weight and reduces inertia without compromising durability, but also improves aerodynamics due to its new rim shape. Further advantages: up to 50 grams lighter for faster climbing, the lowest inertia for instant acceleration and a smooth aerodynamic rim shape to reduce drag. 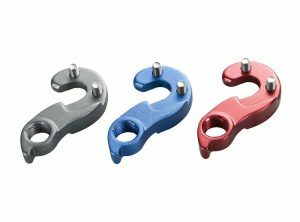 FTS-L (Force Transfer System Light) – Reinforcement of key transmission components: the contact area between the pawl and the hub body is reinforced by 2 stainless steel inserts, which allows the use of a 100% aluminum hub body. Advantages: greater efficiency due to better transmission of efforts on the entire wheel and lightweight and strong hub design. Isopulse – The spokes are laced radially on the drive side and crossed 2 on the non drive side to maximise drive side dish, thus providing a better spoke tension balance between left and right flanges. Further advantages: higher stiffness under heavy loads for crystal clear energy transmission and better wheel stability for fewer maintenance. 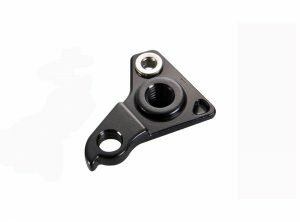 QRM+ (Qualité Roulements Mavic Plus) – Mavic Quality Bearings Plus. Those cartridge bearings are of course double sealed with C3 internal clearance, and toped with a micro-adjustability system. Zicral A highly resistant and lightweight aluminum alloy for spokes. Maxtal – Exclusive to Mavic. An aluminium alloy that is 30% more resistant than a 6106 alloy for lighter and spicier rims. GripLINK A good tire must fully liberate the wheel’s potential and even enhance its performance. Therefore, the expected benefits of the front tire are different from the rear one. GripLink clinchers are optimized for front use. The safest grip with great steering control: Dual compound “S+” with added Silica. Hold the road in any situation: light and supple high density casing. Reduced risk of flats: strong Nylon anti-puncture breaker. PowerLINK A good tire must fully liberate the wheel’s potential and even enhance its performance. 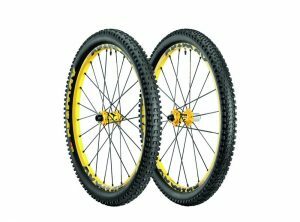 Therefore, the expected benefits of the front tire are different from the rear one. PowerLink clinchers are optimized for rear use. Superior energy transfer, reduced rolling resistance and safe grip: Dual compound. Improved drive: light and supple high density casing. Higher durability and reduced risk of flats: Dual compound and strong Nylon anti-puncture breaker.